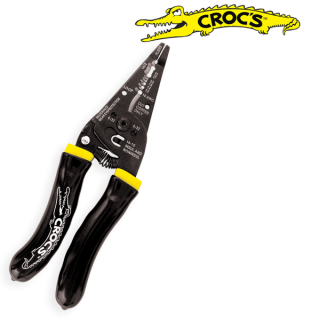 Croc’s Needle Nose Wire Strippers – Rack-A-Tiers Mfg. 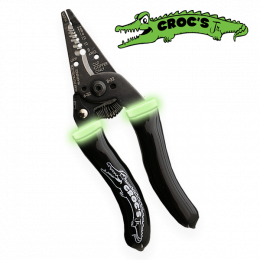 Sometimes referred to as the best wire strippers on the market, the Croc’s Needle Nose Wire Strippers will impress even the toughest critics. 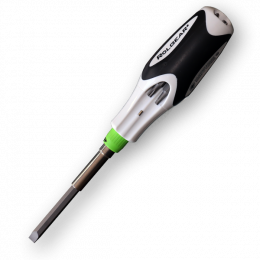 These strippers have countless features, each designed to make your job easier and more productive. Glow in the dark handles! Croc’s! What a beautiful stripper. Check out those curvaceous grips. Try out those needle nose tips. Dual action sheath stripper, crimper, oversized cutters, 22 gauge stripper as well. Great tool. But need to work on the spring not coming off so easily had it once off then it again now it’s lost. Email your address to sales@rack-a-tiers.com and reference this comment and we will get a replacement spring sent out for you. Sorry for the inconvenience this caused. I work for an electrical wholesaler, and quite frankly our price on these compared to other strippers, you can’t beat them. For the cost of a basic Ideal set that isn’t very comfortable and doesn’t have much in the way of features, you can get these. For small jobs sometimes it’s the only tool I need! 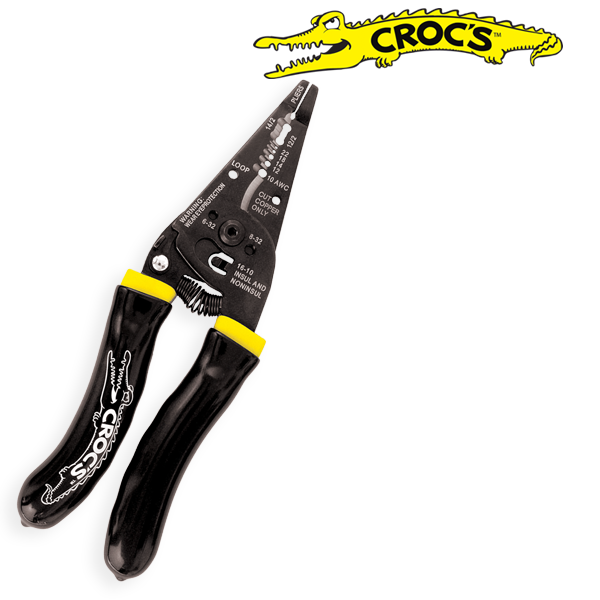 Best wire strippers on the market , comfortable too hold and durable and wont dull out . 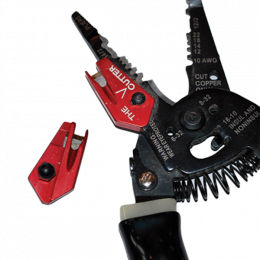 A great gift for a electrician if they do not have them , if you do not have them get them. I’ve had my Crocs for a couple of years and I like them. I am disappointed with the insulated handles slide off of the tool when I use it to pull nm into a box. The spring does pop off I’ve lost mine as well but otherwise it’s a handy tool and it’s the only strippers I use. Sorry to hear you’ve had some issues with your Croc’s. You can put some PVC glue or Epoxy on the handles and it should keep those in tact. If you want to email sales@rack-a-tiers.com with your information we will get a replacement sent out to you with handles that won’t slip. I really like these strippers but the latch to keep the handles closed when not in use does not work on my pair, super annoying. Hey Eddie, we had a bad run of these with latch issues that we have since solved. Please email sales@rack-a-tiers.com with your details and we will get a new unit sent out to you.